Earlier today, a friend was in turmoil – an immense list of things to do weighed on him, yet he was simultaneously drawn to doing nothing. He was a risk of burning out, and needed rest. He said he was reminded by his sister, a mother with children to take care of, to be grateful for the ability to choose to do nothing. The freedom to choose what to do at any given moment is a rare treat in this world of demands, expectations, suppression, and control. Mothers and fathers caring for their children are engaged in an undeniably hefty responsibility 24/7. People oppressed by controlling and unrealistically demanding partners, employers, caregivers, governments, dictators… these people, too, know not the freedom of choice. Tonight, as I read the May 2010 issue of Art In America, I was pleasantly surprised to notice that not only one, but two majors articles were concluded with the authors’ grace. Richard Kalina discusses Robert Morris’ recreation of Untitled (Scatter Piece), placing it in historical context compared to it’s original form decades ago. When the show ended, he (Morris) gave me the mud-splattered sign by the door – one of the few artifacts, I believe, of the long-destroyed piece – and inscribed it to me. I was, and I am, very grateful. 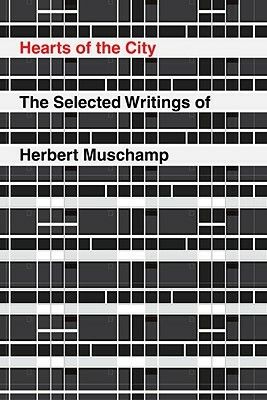 Eariler in the same Art In America issue, Franz Schulze reviews two books on architecture simultaneously released this spring: Paul Goldberger’s Why Architecture Matters, and Hearts of the City: The Selected Writings of Herbert Muschamp. In his engaging review (I am far from an architectural scholar; sometimes achieving a sufficient grasp of the subject is beyond me, and as a result, I can not fully appreciate a review of the subject. But Schulze’s voice is intelligent without being convoluted. For this I am grateful), Schulze examines the vast difference between the equally influential writers of and on architecture, Paul Goldberger and Herbert Muschamp. is steady, balanced and rational, ecumenical in his tastes, at ease in the mastery of his material. Muschamp by contrast was mercurial, passionate and self-indulgent, as willing to defy convention as to follow it. Respecting these differences, Schulze elaborates sufficiently on both writers. In view of the present threat to quality print journalism, reading Goldberger and Muschamp leaves us immensely grateful for them both. The same friend whose turmoil was eased by his sister’s advice has recently discussed with me the problems that are caused due to our modern lives sinking in a pit of overabundant choice. The ability to choose to do nothing, to take five or ten minutes to sit in silence, to read an issue of Art In America, these are all wonderfully centering and calming, grounding luxuries. we can and should become as rich and famous as we want, without any concern for anyone (family, friend, partner, lover) or anything (plant, animal, element, resource). This platter of temptations is unfit even for an omnipotent being with hundreds of thousands of years of experience. That being, I expect (and hope), would have the wisdom to look upon the platter and be grateful that their plate is completely and utterly empty.